MUSIC - At joes[a]fiend we throughly believe that data is beautiful, we hate spreadsheets but love the creative complexity of data visualisations from the likes of Aaron Koblin. 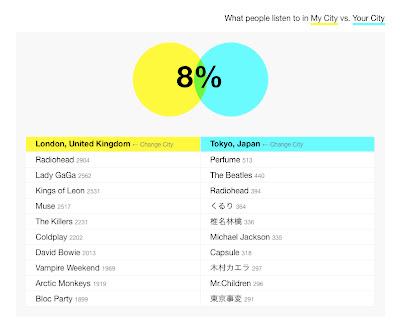 My City Vs Your City utilises user data from Last.Fm, the hack allows you to compare the music being listened to around the world. 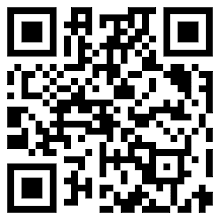 My City Vs Your City was created at Music Hack Day in Stockholm by Michael Schieben.